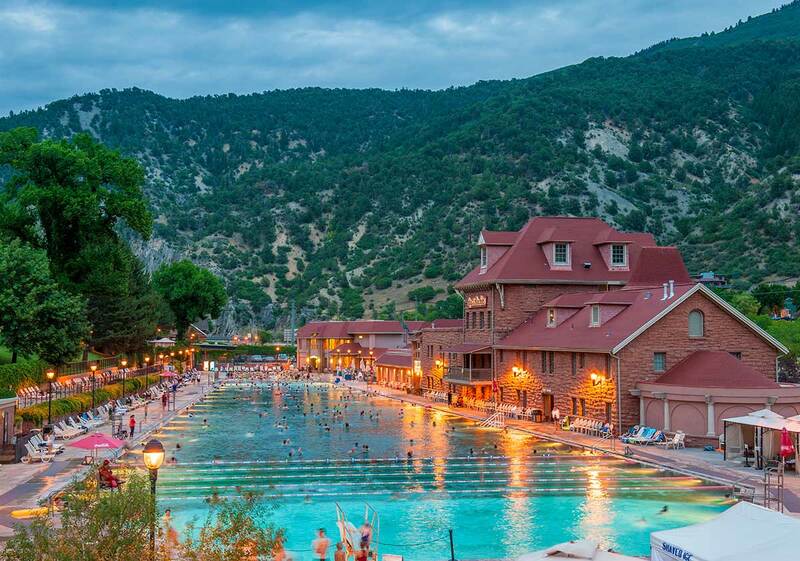 Glenwood Hot Springs, tucked between Aspen and Vail in the mountain paradise of Glenwood Springs, exudes a timeless magic. Home to the world’s largest hot springs pool, the beloved landmark has offered both locals and visitors mental and physical health benefits since 1888 — and continues to attract wellness seekers from around the world. 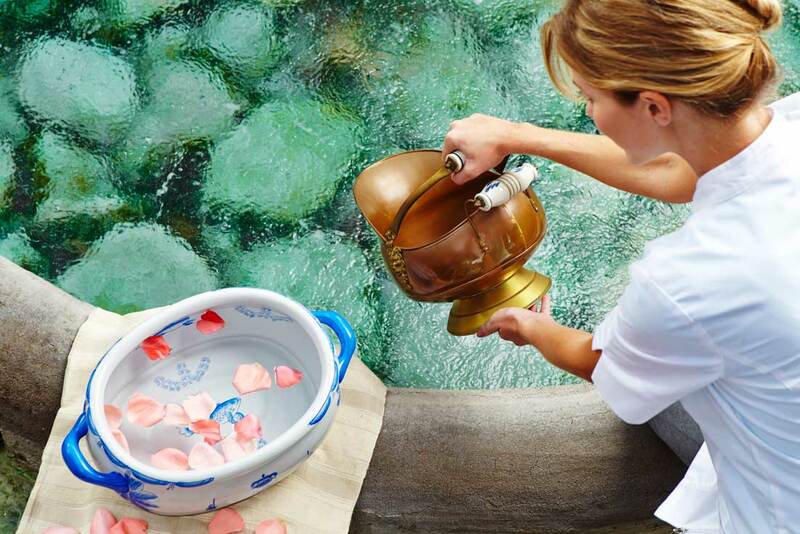 The hot springs’ healing mineral waters have been revered for centuries. The Ute Indians, who dubbed the waters “Yampah” or “Big Medicine,” were the first known visitors to the soothing springs that flowed along the Colorado River in Glenwood Canyon. 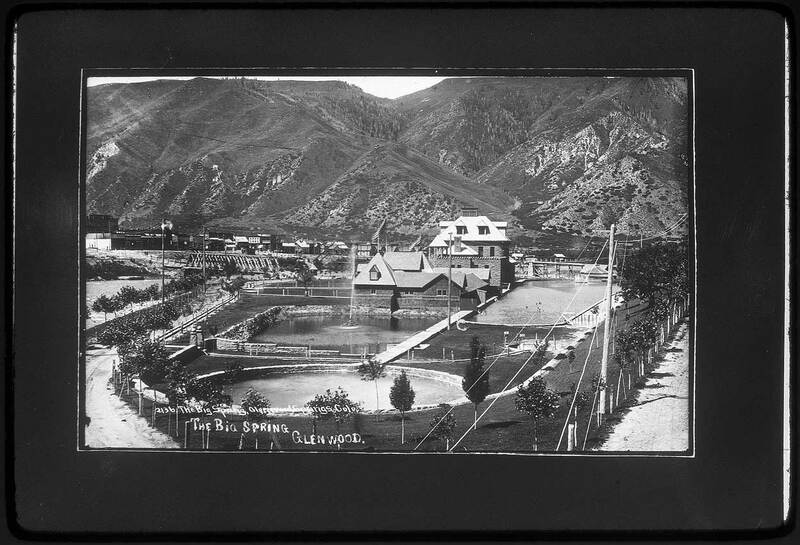 The Yampah Spring, the source of Glenwood Hot Springs’ famous mineral waters, flows at 3,500,000 gallons per day at 122 degrees Fahrenheit (one of the hottest in the world!) and is cooled to 104 degrees before it is piped into the destination’s therapy pool. There really is something in the water. The 15 naturally dissolved minerals in Glenwood Hot Springs — including boron, calcium, sodium, sulfate, lithium, potassium and fluoride — support balneology, the practice of using natural mineral water to promote wellness and healing. Whether you’re looking to increase blood flow and circulation to relieve sore muscles, boost metabolism or increase your body temperature to eliminate harmful germs and toxins, soaking in the highly concentrated mineral water is celebrated for a wide array of health benefits. The hot springs are perfect for summer and winter escapes, and soaking in the steamy pools amid stunning snow-dusted peaks as white flakes fall from the sky is an especially enchanting experience. Book the popular Ski Swim Stay package, which includes lodging, a lift ticket to Sunlight Mountain Ski Resort, a lift ticket for one child (12 years old or younger) and unlimited access to the hot springs. During the warm-weather months, Glenwood Hot Springs offers cabana rentals, a kiddie pool and two waterslides — so your whole clan will stay entertained all day long. 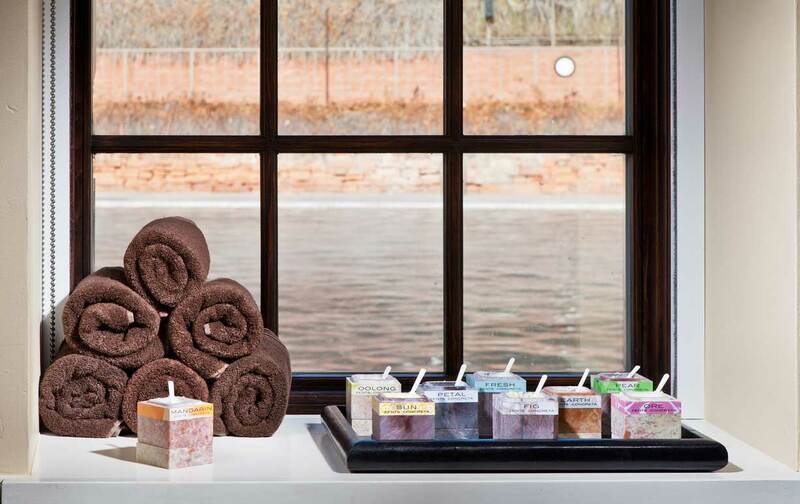 The mineral-infused treatments at the on-site Spa of the Rockies are divine. 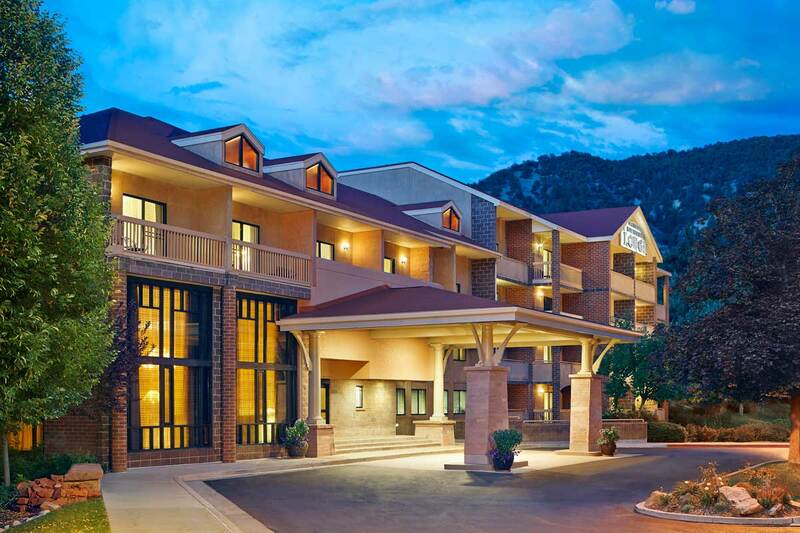 Stay at the Glenwood Hot Spring Lodge for the ultimate Colorado wellness retreat. Glenwood Hot Springs’ are eco-friendly and heated by Mother Nature — so you can feel good about your soak. 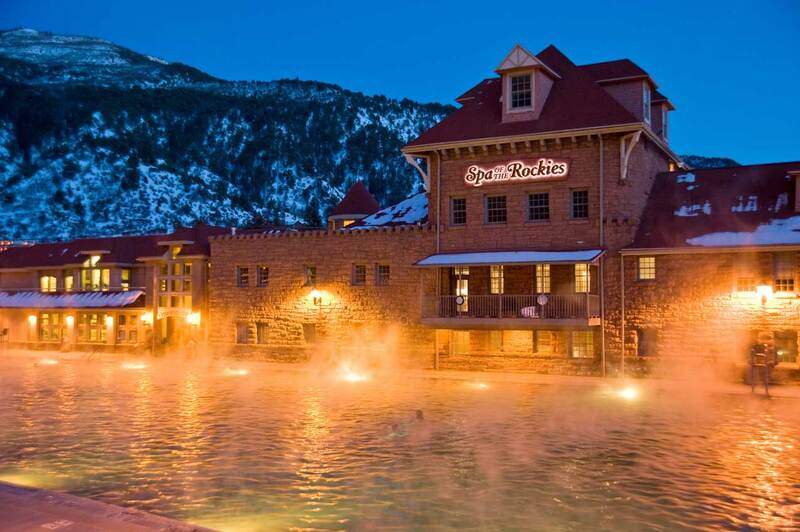 An advanced geothermal system allows Glenwood Hot Springs to use the water heated by the earth’s core to supply energy to various facilities on its property, including the 107-room Glenwood Hot Springs Lodge, the largest geothermally heated building in Colorado. The bathhouse, pool lobby and retail store are also naturally warmed in the winter by diverting the natural flow of Yampah Spring’s water through a series of gravity-fed underground pipes to maximize efficiency and conserve precious natural resources.